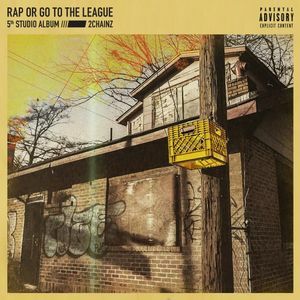 I really enjoyed this new album by 2 Chainz and thought it had a good variety of tracks on it: some concious, some introspective, some party tunes, and some smooth too. While I didn’t necessarily vibe with many of them enough to add to my playlist, I’d definitely give this a listen again and am excited to see how some of the tunes hit the radio. My favorites include Forgiven, 2 Dollar Bill (Ft. E-40 & Lil Wayne), I’m Not Crazy, Life Is (Ft. Chance the Rapper & Kodak Black), and Sam.